NORTHERN Isles MP Alistair Carmichael says his party will be backing Conservative Prime Minister David Cameron’s move to carry out air strikes on Syria in the House of Commons on Wednesday. 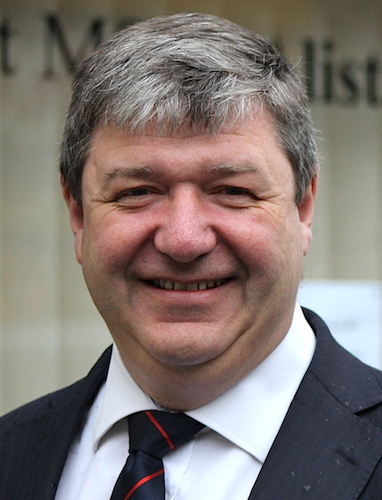 Carmichael, the sole remaining Liberal Democrat MP in Scotland, confirmed in a BBC interview on Tuesday night that his party would back the extension of the Royal Air Force’s bombing campaign against Islamic State targets from Iraq to Syria. He said: “Liberal Democrats will support the extension tomorrow of the military intervention against Isil bases in Iraq to those in Syria. Carmichael’s statement comes after Lib Dem leader Tim Farron – who last week set out five tests before action should be taken – confirmed he felt those tests had been “met as best they can at this moment, and I will therefore be voting in favour of extending our operations to allow airstrikes on ISIL in Syria”. Shetland councillor Jonathan Wills responded by telling Carmichael he had not written to him earlier on the subject “because it never occurred to me that, with your long and honourable record as a defender of human rights, you would contemplate supporting David Cameron on this issue”. Wills said he was “truly shocked and dismayed” by Carmichael backing a bombing campaign which “will undoubtedly cause civilian casualties” and urged him to reconsider before voting in the House of Commons on Wednesday night. Liberal Democrat Voice, which describes itself as the “most-read independent website by and for Lib Dems”, conducted a poll of its members-only forum on 29 and 30 November. Of 975 respondents, 67 per cent said they opposed backing UK airstrikes in Syria “before a wider solution to the Syrian Civil War is in place (ie now)” compared to only 24 per cent who backed airstrikes. Fifty seven per cent said they would back airstrikes “as part of an agreement with other states to end the war”, while 46 per cent would only back bombing Syria “to support a wide coalition of ground troops”. SNP leader Nicola Sturgeon said her party’s MPs would be voting against action, while Labour leader Jeremy Corbyn – who is strongly opposed – is giving his parliamentarians a free vote on the matter. On Tuesday, Cameron reportedly warned members of the Conservatives’ 1922 committee against voting alongside “Jeremy Corbyn and a bunch of terrorist sympathisers”.